With the highly anticipated release of the Avengers: Endgame movie, brands are jumping on the bandwagon to release merchandises that are all things Avengers. 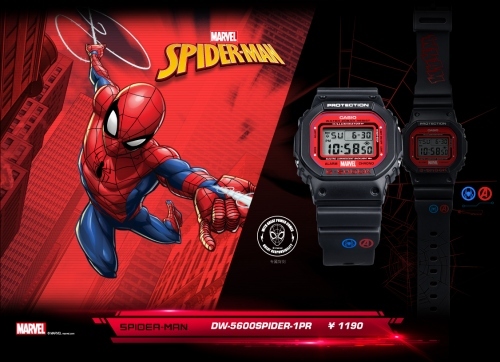 Latest to the craze is Casio, which will be releasing 3 limited-edition watches as part of their newest Avengers G-Shock collection. 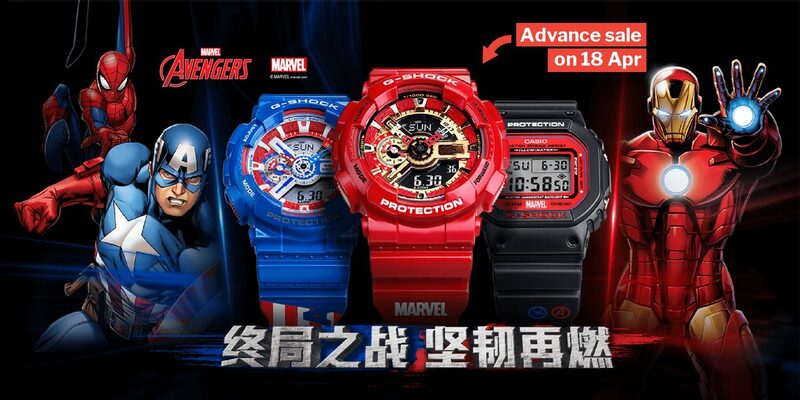 Inspired by Iron Man, Captain America, and Spiderman, these timepieces are rumoured to be released in Hong Kong and mainland China at the end of this month. 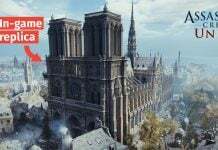 Here’s a closer at look at the watches, and the information that we’ve gathered about them so far. 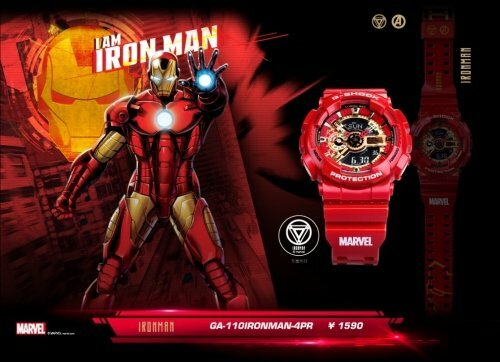 With it’s bright red and gold details, Iron Man’s watch is, without doubt, the loudest of the collection. If you’re a proud Avengers fan who isn’t afraid of announcing your allegiance, this will definitely be the perfect one for you. 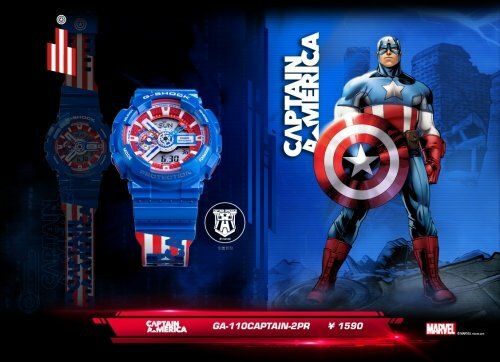 Those who have long dreamt of owning a vibranium shield can consider getting Captain America’s watch. The face of the watch resembles a shield, presumably playing homage to Captain America’s weapon of choice. There are also intricate details on the strap that are reminiscent of the American flag. Spiderman’s watch is the subtlest of the collection. While this watch bears an uncanny resemblance to the black Casio watches synonymous with Basic Military Training, the bold red details on its face certainly do a good job in setting it apart. Not sure if this watch comes with Peter Parker’s signature web formula. You’ll have to purchase one yourself to find out. All 3 watches come with matching boxes to help keep them safe from dust and scratches. This box that accompanies the Iron Man watch looks sleek and polished, similar to how Tony Stark is like in the movie. Our favourite would definitely be Captain America’s, which has the full shield design on the top of the box. The box that comes with Spiderman’s watch looks pretty dope too, to be fair. Advance sale of these watches will start 18 Apr on JD.com, and will be subsequently available on other Chinese sites like Tmall, meaning you can easily have it shipped to Singapore using courier services like ezbuy. It is likely that these watches will be sold in Hong Kong too, as many Hong Kong Sina Weibo blogs have also published previews of these timepieces. 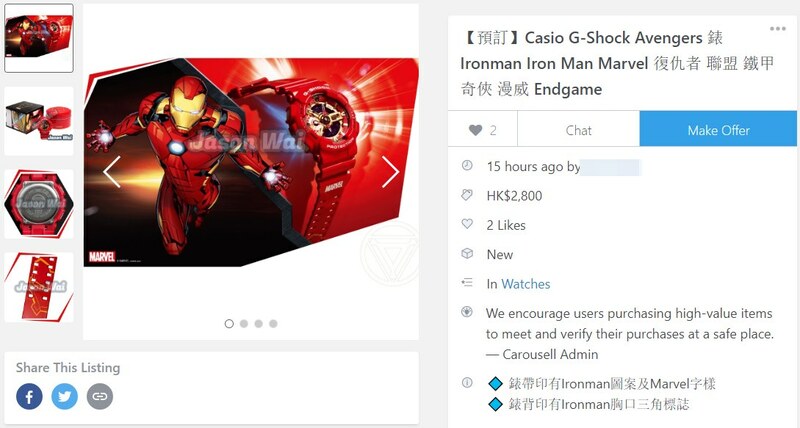 In fact, one Carousell seller from Hong Kong has listed pre-orders for all 3 watches and stated in his listings that stocks will arrive around end-April. We’ve also reached out to Casio Singapore to enquire if these timepieces will be made available in Singapore. If you have friends who are making the trip over to Hong Kong or mainland China at the end of this month, you know what to do — ask them nicely if they can bring one of these limited-edition watches back for you!